1kg/bag;25kg/drum, Packing in paper-drums and two plastic-bags inside. Lycopene is a member of the carotenoid family of chemical substances. 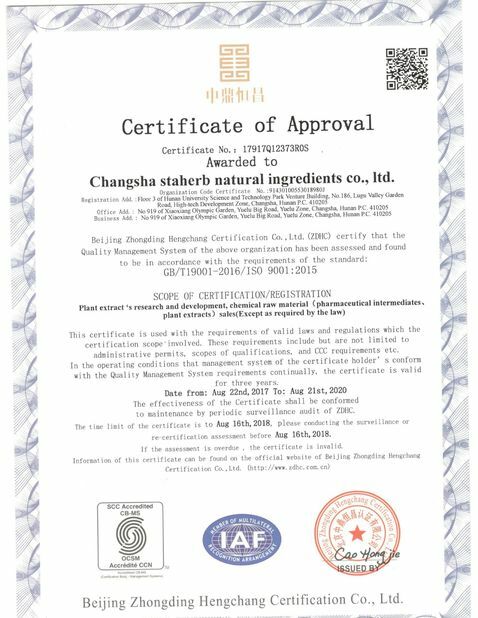 Lycopene, similar to other carotenoids, is a natural fat-soluble pigment (red, in the case of lycopene) found in certain plants and microorganisms, where it serves as an accessory light-gathering pigment and to protect these organisms against the toxic effects of oxygen and light. 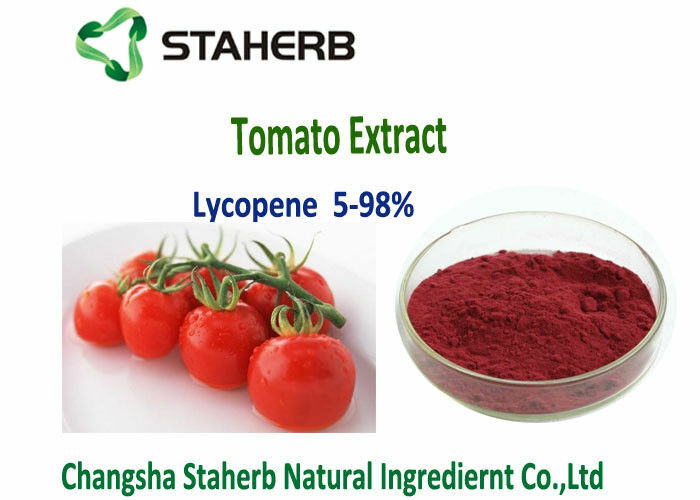 Lycopene may also protect humans against certain disorders, such as prostate cancer and perhaps some other cancers, and coronary heart disease. Carotenoids are the principal pigments responsible for the colors of vegetables and fruits (see Beta-Carotene and Lutein and Zeaxanthin). Lycopene is responsible for the red color of red tomatoes. 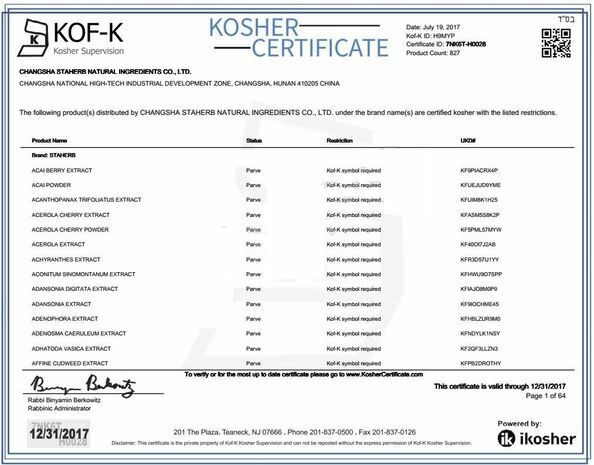 In addition to tomatoes (Lycopersicon esculentum) and tomato-based products, such as ketchup, pizza sauce, tomato juice and tomato paste, lycopene is also found in watermelon, papaya, pink grapefruit and pink guava. Processed tomato products are more available dietary sources of lycopene than fresh tomatoes. The average daily intake of lycopene is approximately 25 milligrams, with 50% of this in the form of processed tomato products. Lycopene is an acyclic isomer of beta-carotene. Beta-carotene, which contains beta-ionone rings at each end of the molecule, is formed in plants, including tomatoes, via the action of the enzyme lycopene beta-cyclase. Lycopene is a 40 carbon atom, open chain polyisoprenoid with 11 conjugated double bonds. 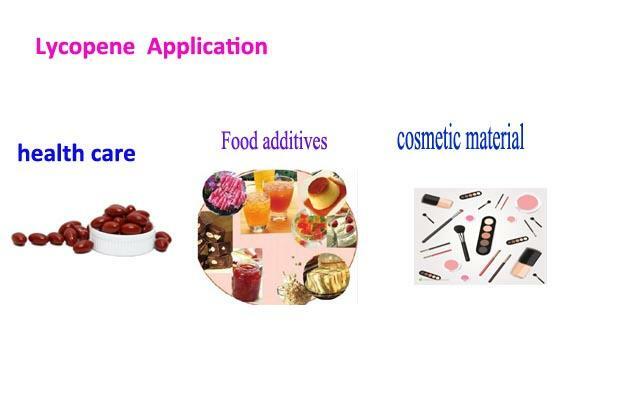 3) Applied in pharmaceutical field, it is made into capsule.